MOVE IN Spring 2019!!. 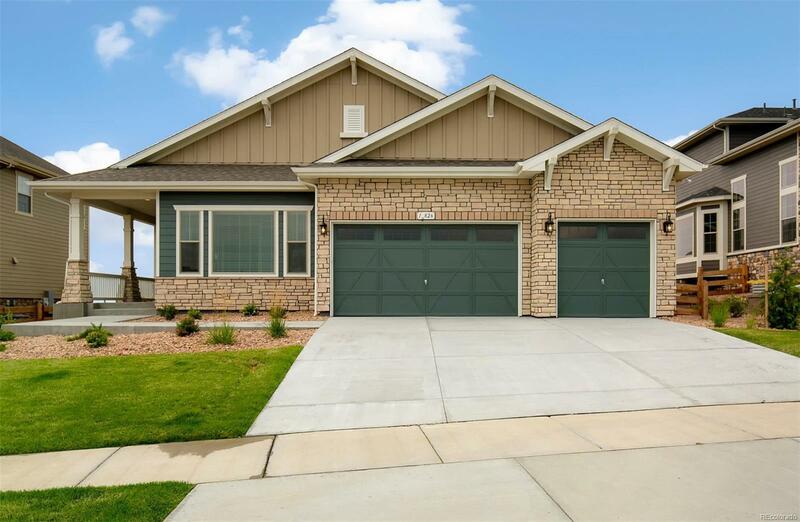 NEW LUXURY RANCH STYLE HOME ! THIS AMAZING HOME OFFERS IT ALL WITH 3 BDRMS AND PRIVATE STUDY ON MAIN LEVEL, GREAT ROOM WITH WOOD BEAMED CEILING. DECK WITH WONDERFUL CITY AND MOUNTAIN VIEWS. BEAUTIFUL UPGRADED KITCHEN CABINETS WITH 7" HARDWOOD FLOORS THROUGHOUT, GRANITE/QUARTZ TOPS AND GOURMET STAINLESS STEEL ELECTROLUX APPLIANCES, 32" BUILT IN REFRIGERATOR AND 32" BUILT IN FREEZER, 36" CANOPY WALL HOOD. DRAMATIC 10 FT + CEILINGS, PARTIALLY FINISHED WALK OUT BASEMENT WITH REC ROOM WITH WET BAR AND GUEST ROOM WITH PRIVATE BATH. LARGE MASTER SUITE HAS HUGE WALK IN CLOSET AND SWEEPING CITY & MOUNTAIN VIEWS. FULL YARD FENCING AND LANDSCAPING. THERE IS STILL TIME TO CHANGE INTERIOR DESIGN SELECTIONS CALL SALES REPRESENTATIVE FOR DETAILS. BUILDER 2-10 LIMITED WARRANTY. PHOTOS ARE REPRESENTATIVE, NOT OF ACTUAL HOME.